It is called “reverse racism” and among the ways it works is by making racist remarks against the majority claiming it is a reaction against oppression. Forgive me for getting technical with this but I have to endeavour to make people understand the background of this nation to understand the current situation we are in. I cannot possibly answer all the allegations above as I do not work for the government therefore I do not have all the data needed but I shall make references to publicly-available documents. The Malay States were rich with tin and land for rubber plantations. 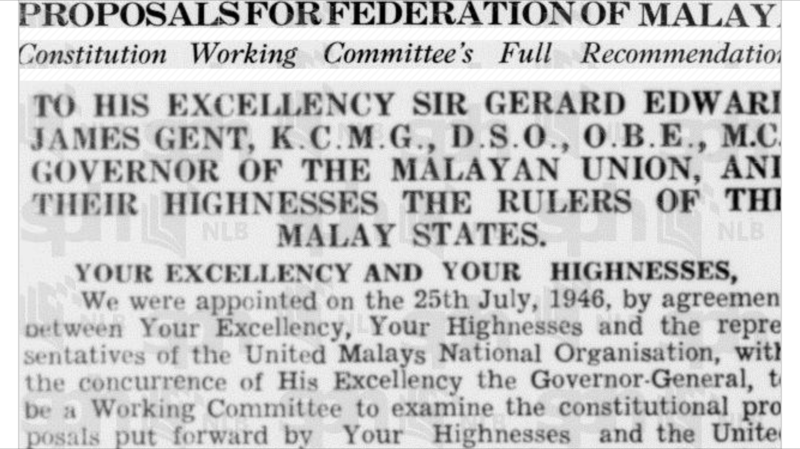 This led to the signing of treaties to enable the British to have a share of the wealth and the creation of British protectorates of the Federated Malay States (formed in 1895 with common institutions such as the State Constitution, and a Resident-General administering the states on behalf of, and answerable to the Sultans and Yam DiPertuan Besar as his salary was paid by them) and the Unfederated Malay States (C.D Cowan, 1961; Emily Sadka, 1968; Eunice Thio, 1969). The economy was divided into two systems – tin mining and rubber plantations dominated by the Chinese, and peasant farming and inshore fishing conducted by the Malays (M Yusof Saari, Universiti Putra Malaysia, Malaysia; Erik Dietzenbacher and Bart Los, Univeristy of Groningen, The Netherlands – World Development, Volume 76, December 2015, pp. 311-328). 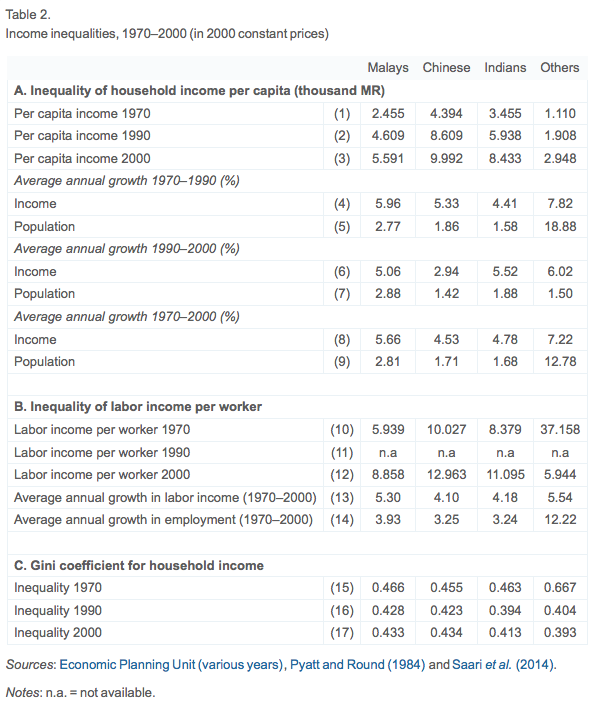 With the expansion of mining and rubber lands, the Malays got pushed back to the edges of primary forests, and away from economic wealth that both the Chinese and Indians were enjoying. The Chinese and Indians brought over by the British were British subjects as far as the colonised parts of Malaya were (Pulau Pinang, Melaka and Singapore). 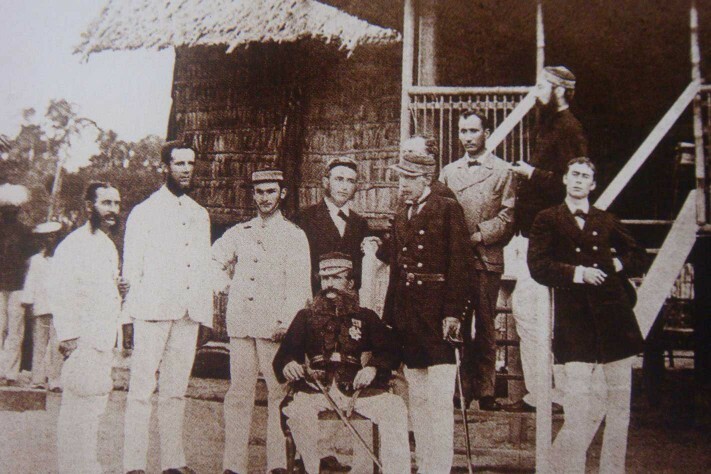 However, the ones in the Malay States were disinclined to give allegiance to the respective Sultans as they pledged allegiance to their homeland. The top five banks are Malayan Banking, CIMB, Public Bank, RHB Capital, and Hong Leong Financial Group. If you see who the top 30 shareholders of Maybank are, you would see that they are mostly government investment agencies, or nominees especially by Citigroup. Citigroup is NOT Malay. 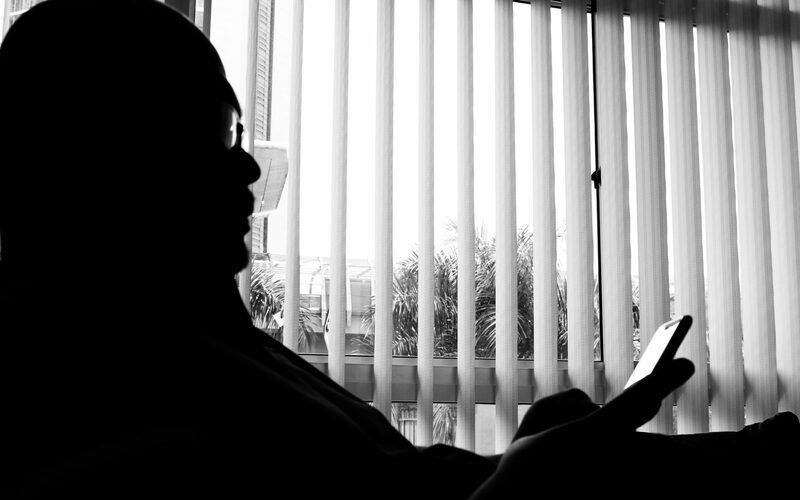 However, you would see that at Number 28, a private individual is an individual shareholder. He is NOT Malay. The top shareholders of CIMB as of 30 June 2015, are Khazanah Nasional – 29.34 %, Employees Provident Fund (EPF) – 17.51 %, Kumpulan Wang Persaraan (KWAP) – 3.61 % and Mitsubishi UFJ Financial Group – 4.61 %. Public Bank, although third in the list, was the second largest bank in Malaysia by market capitalisation in September 2016. Its major shareholder is Tan Sri Dato’ Sri Dr. Teh Hong Piow, who has a 23.79% stake in the bank as of 26 January 2016. Teh is also the bank’s founder and chairman. He is NOT Malay. I can skip and go on to Hong Leong Financial group if you want to see the shareholding information. The DAP and Pakatan are famous for plucking numbers from the sky. Two of 16 directors of PETRONAS are non-Malays so that makes 12.5%. 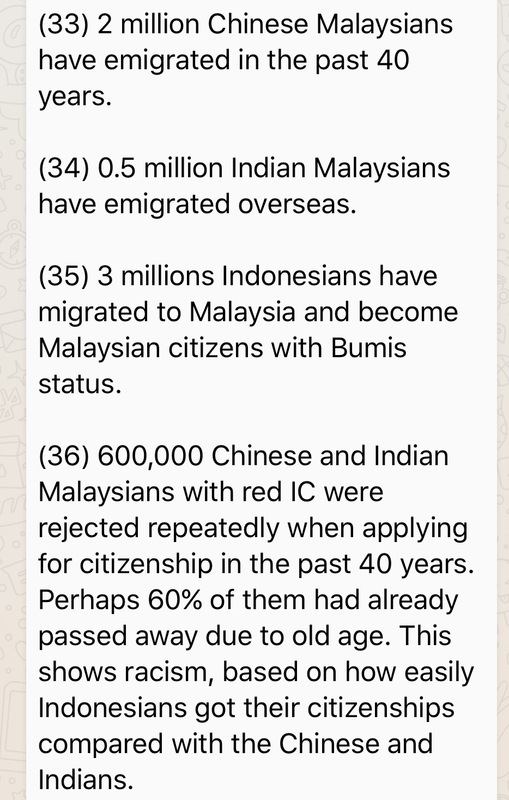 Therefore, only 87.5% are Malays. Now look at their respective background and tell me of they are not qualified to be there. PETRONAS is a government-owned company. It is not an Ah Beng Enterprise (no reference to Lim Guan Beng) and the board is answerable to the Government on all matters. Bumi Armada is one of the largest suppliers of offshore support vessels, Floating Production, Storage and Offloading (FPSO) units, Floating Gas Solutions (FLNG/FSRU/FSU) to PETRONAS. It is an Ananda Krishnan company. Ananda Krishnan is NOT Malay. Again, this is very racist and a blatant lie. 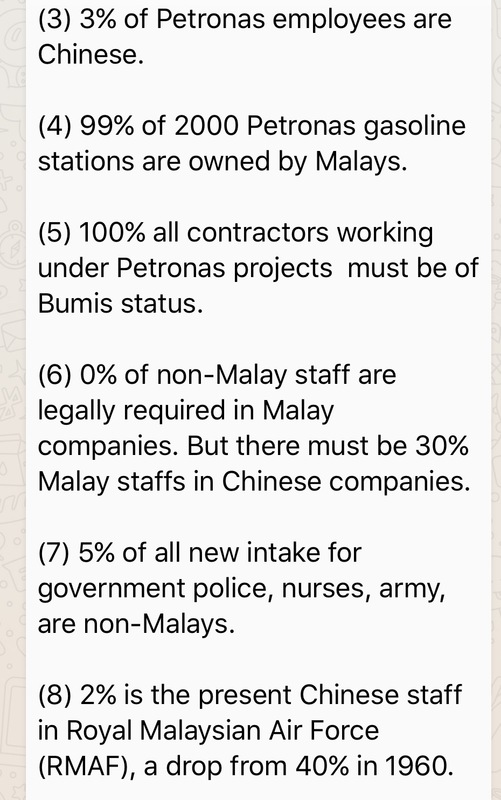 You are only required to show your Bumiputera equity be it 30%, 51% or 100% if you are tendering for a Bumiputera-open or Bumiputera-limited contracts. That is EQUITY, not employees. 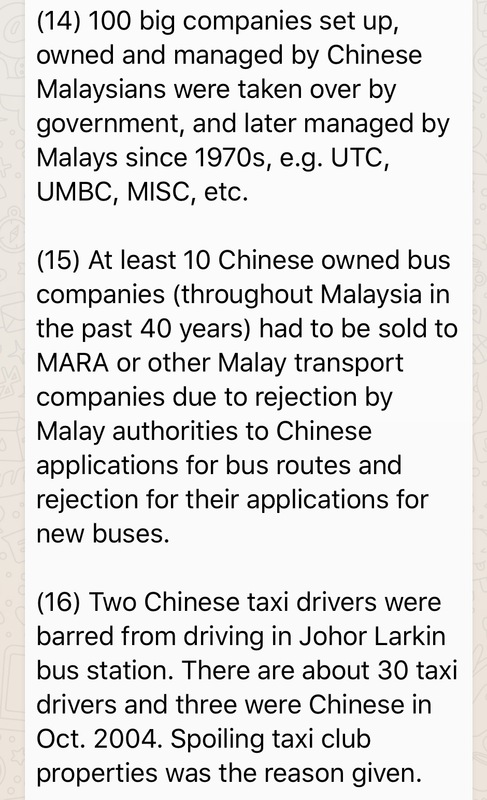 In reality too, most “Bumiputera” companies that tender for government contracts are actually Chinese-run companies that use Malay names on the license and application forms. 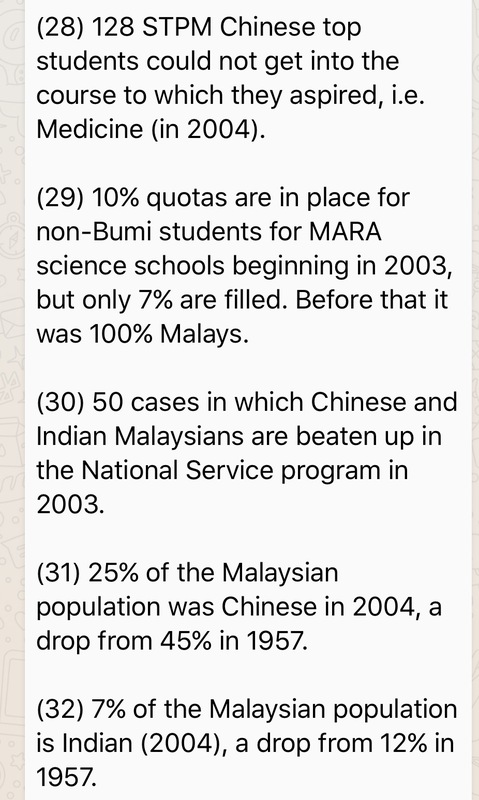 Malays are given 30% allocation while non-Malays have 70% but even the 30% has non-Malay participations. They always claim that they are the “second-class” citizens of this country yet they are the ones who control the economy. Do you think if policies are not in place they would care for the Bumiputeras? 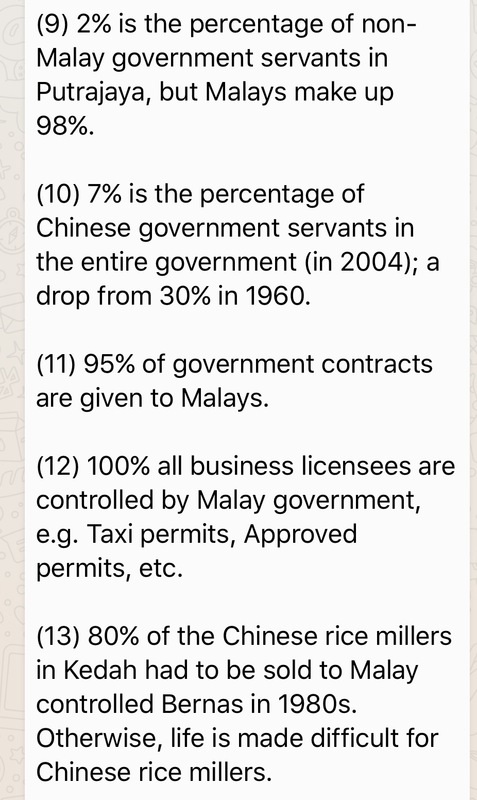 And by saying Bumiputera, I mean the Malays and the natives of Sabah and Sarawak who are economically second-class citizens in their own land as the Chinese are the ones who dominate the economy there. 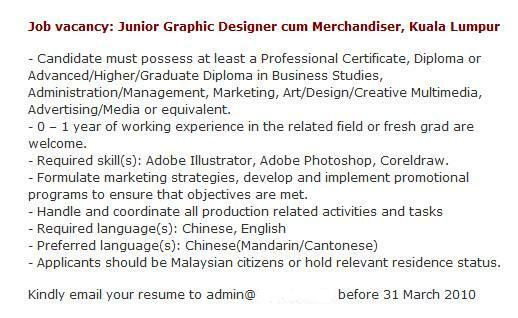 In 2014, the Royal Malaysian Police had had to lower the entry requirements to cater for the non-Malays – all they need to do is PASS the Bahasa Malaysia subject in their SPM exams. Even that they cannot do. In 2016, out of a force of 90,000, Indians made up 3.3% of the total while Chinese 1.77%. In 2016, the Royal Malaysia Air Force the non-Bumiputeras number about 5% of the total 15,000. 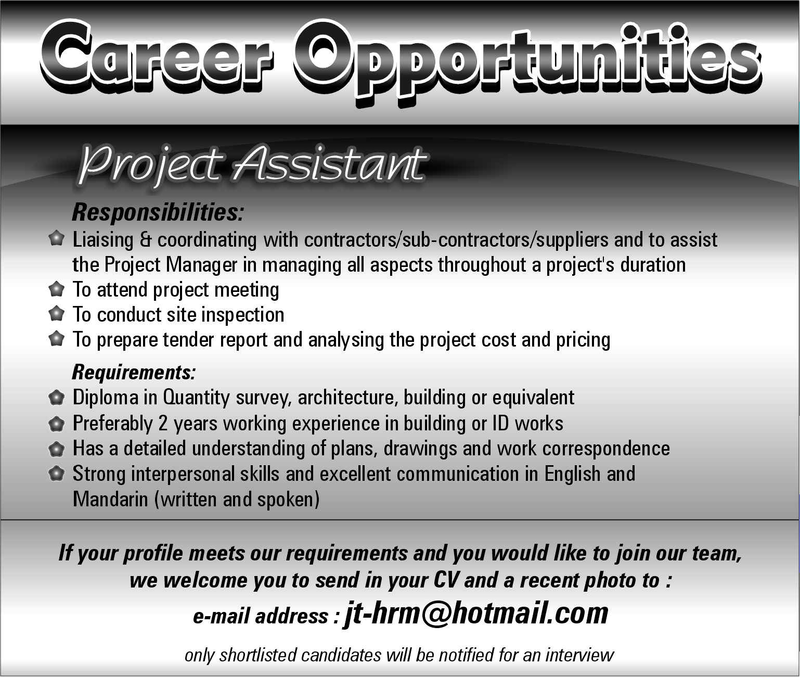 This is not due to the pay offered. I don’t think they are interested to serve a Malay-majority government. BERNAS is a company that regulates the supply and price of rice in Malaysia to deny millers exorbitant profit at the expense of end users. 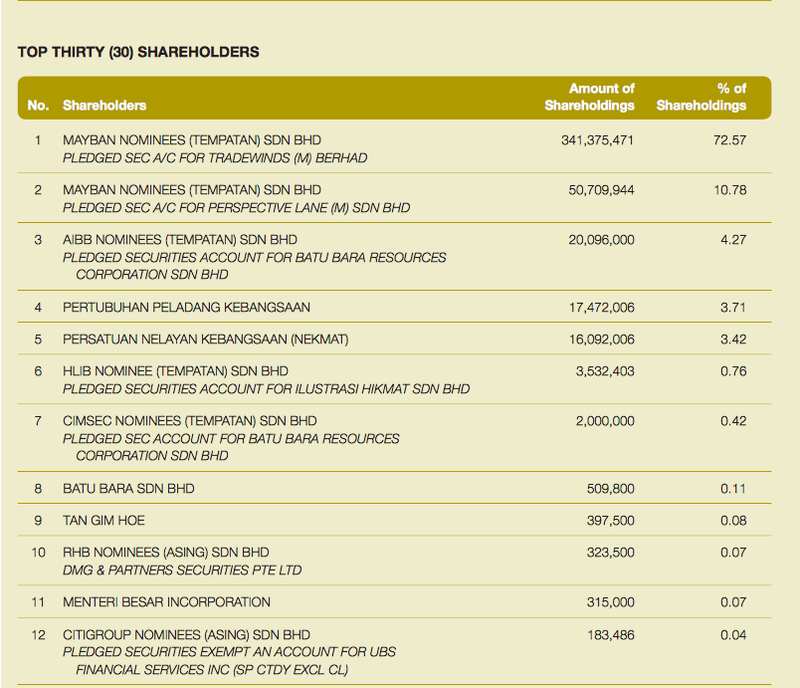 BERNAS’s top 30 share holders in 2012 are as follows. Note the solo individual top shareholder. Again, he is NOT Malay. First – THERE ARE NO “MALAY SCHOOLS.” They are the National Schools where all children are supposed to go to, mix, learn and grow up together. 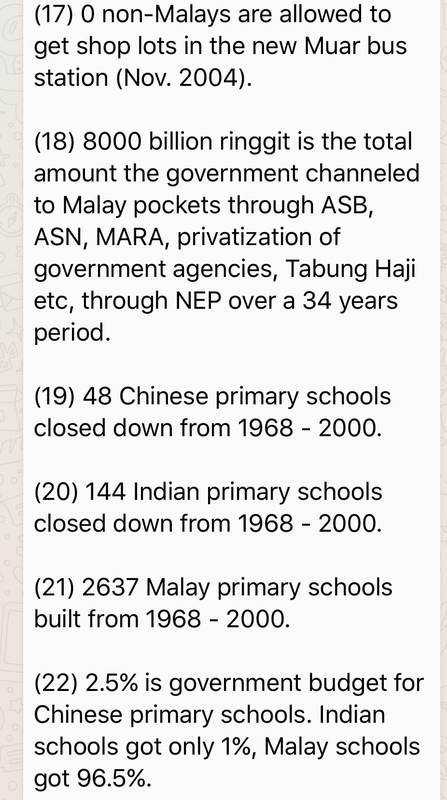 Most Chinese or Tamil schools are private schools and are self-funded. That is why we see only a small chunk of the budget go towards the latter two. 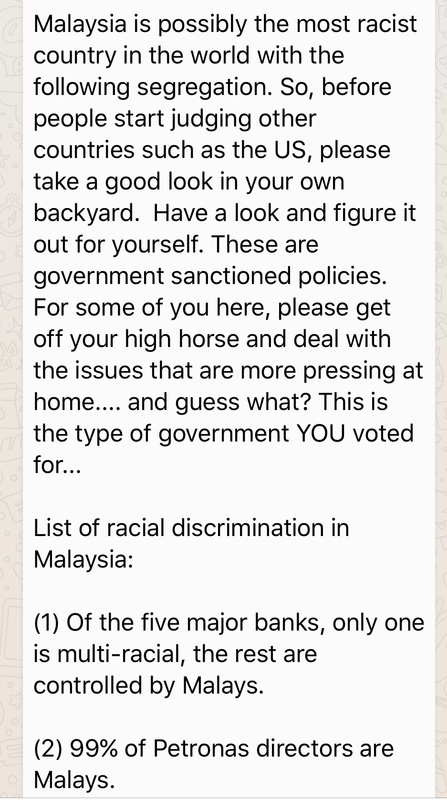 Now if we go back to the first paragraph of the WhatsApp message that I received, it is mentioned that the Malaysian government practices racial discrimination, yet the baseless allegations made that I am familiar with have been shot down. 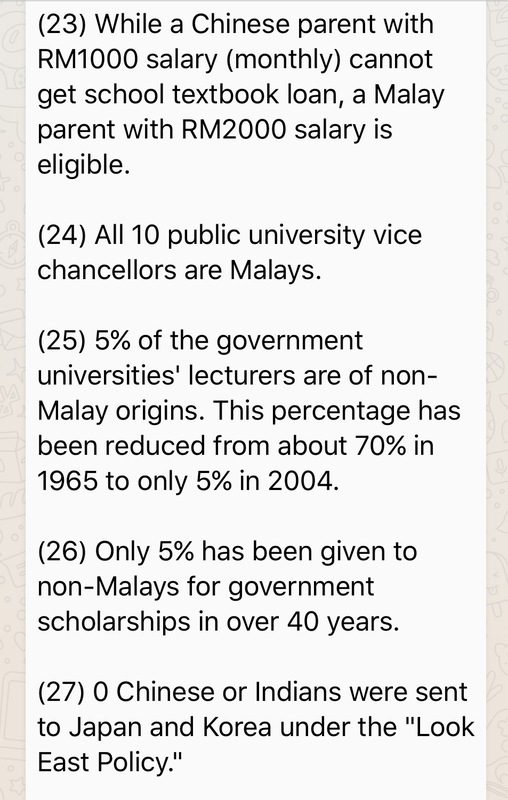 We have seen also that because of their weakness in their command of the Bahasa Malaysia, a language they are supposed to have mastered after 60 years, they have failed to join the public sector. This is due to the fact that they refuse to learn anything that is not taught in their mother tongue. They would rather that their children do not grow up with the children of the Malays or learn to speak the language that has always been the language of this land and is enshrined in the Federal Constitution as the language of the nation. So who is it that wants segragation? Who is being racist? As for those who migrated from Malaysia, those are the free-riders with no loyalty whatsoever to the nation. When the going gets tough, leave for seemingly easier life. For those people, loyalty lies in the pocket. If this government is being racist do you think that there would be vernacular schools? Do you think DAP’s Chen Man Hin would have made RM790 million from a government company? So who is being racist here? Obviously DAP itself. Out of the 30 Central Executive Committee members there are only four Indians/Indian diaspora. one Malay and two Sabah/Sarawak Bumiputera. 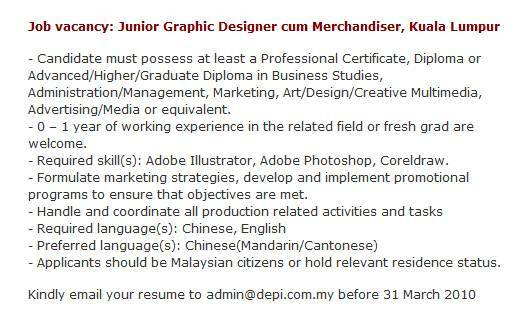 Again, the rest are NOT Malays.